One thing to note is that when clicking on the prop, make sure use the morphs whatever your character uses to make it look like it fits on his or her head. Thanks for rating, downloading and commenting. Please, no redistribution thank you. Made with Hexagon 2.5 & ZBrush for morphs and UV. RyanTheUser18 (11 months ago) Inappropriate? HectorNY (11 months ago) Inappropriate? Very cute. 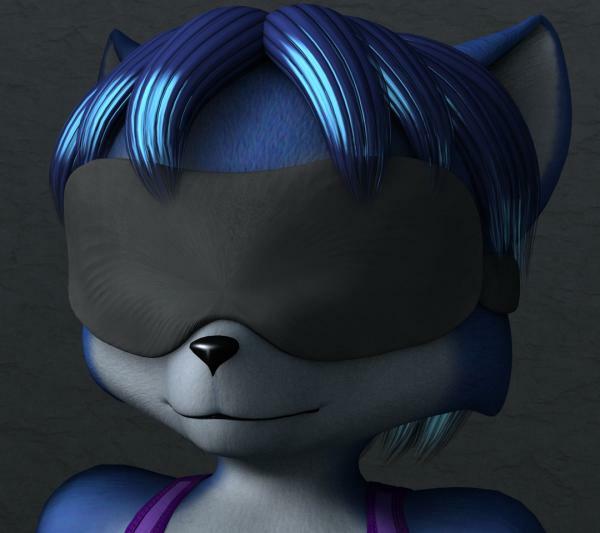 Would also make a good blindfold in case Fox wants to do a special surprise for Krystal.